During college, I spent a semester abroad in Florence, Italy. While I enjoyed soaking up all the breath taking art and architecture located at an eyes glance in Florence, I especially enjoyed the amazing flavors and dishes that filled the petite restaurants lined along the cobble streets. 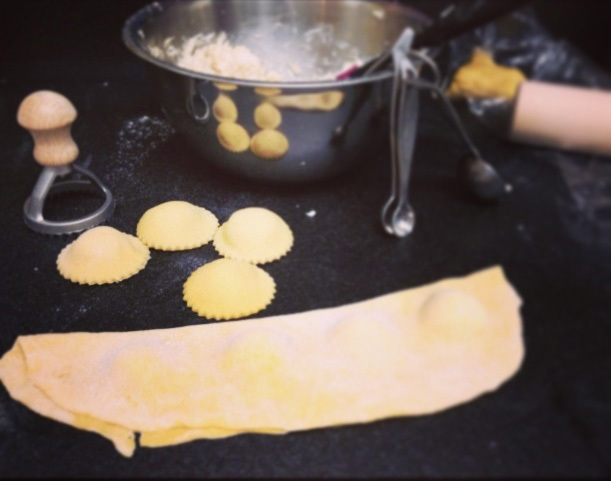 It was at La Giostra where I discovered the mouth watering Pear and Pecorino Ravioli dish. It’s now been about 3 years since I’ve been to Italy and with no trip there in the foreseable future, I decided to take a swing at ravioli making. 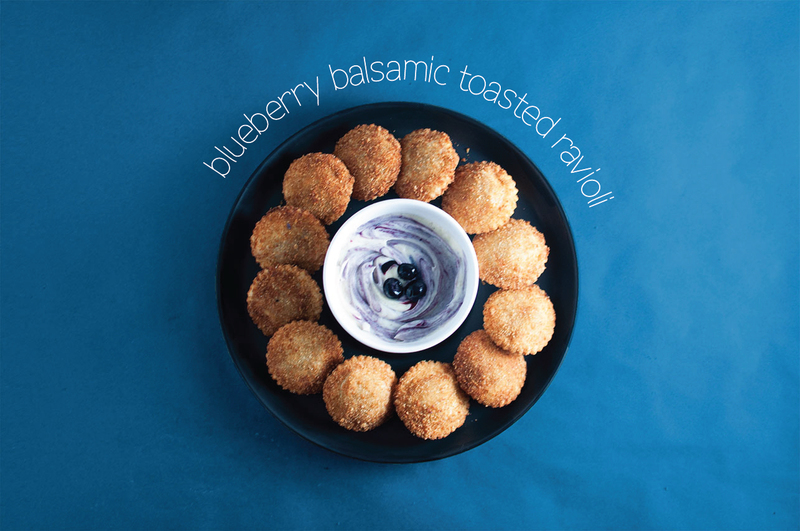 I found this great recipe for a Pear and Pecorino Cheese filling, which I’ve altered just a bit to cater to my taste buds. It calls for a light butter and cheese sauce but since I am a huge fan of creamy white sauces I’ve also altered this just a bit. To make the dough: Pour the flour onto a clean work surface in the shape of a mound. Using a fork, create a crater in the center with thick walls. Crack the eggs inside the crater. Add Salt and oil. Begin to beat the eggs, slowly incorporating the flour. Continue to incorporate flour until well combined and dough forms. Knead dough for 8-10 minutes until smooth and elastic. Wrap in plastic wrap and set aside for about 20 minutes to chill. To make the filling: Peels pears and grate against large whole of a box grater. 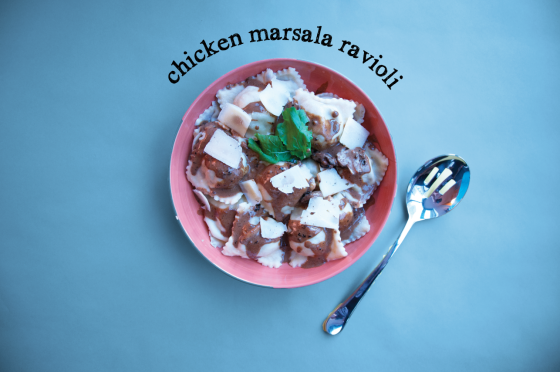 In a medium bowl stir together the shredded pear and shredded pecorino cheese. Fold in the mascarpone cheese. Combining dough and filling: When the dough is ready, split into four pieces so that it is easier to work with. Roll out so that it is longer than is wide. If the dough is too thick to roll, use your hands to gently stretch the dough, you want the dough to be thin (you will be folding it over itself later). Place small teaspoons of the filling along one long side of the dough. 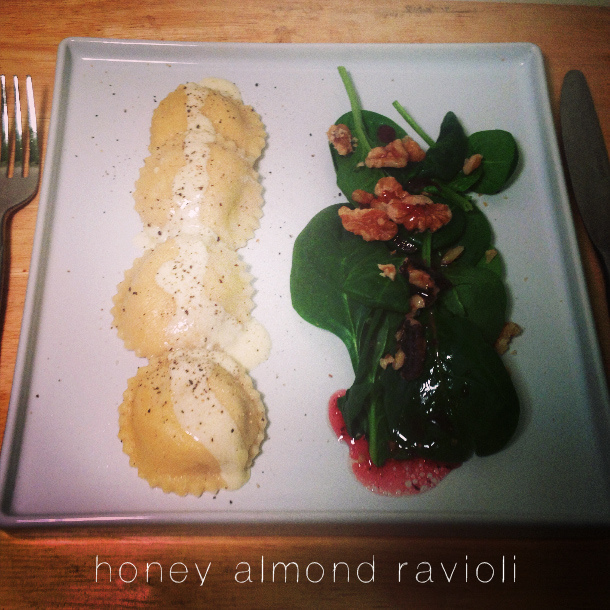 The teaspoons of filling should be far enough from each other to fit the sizing of the ravioli stamp. 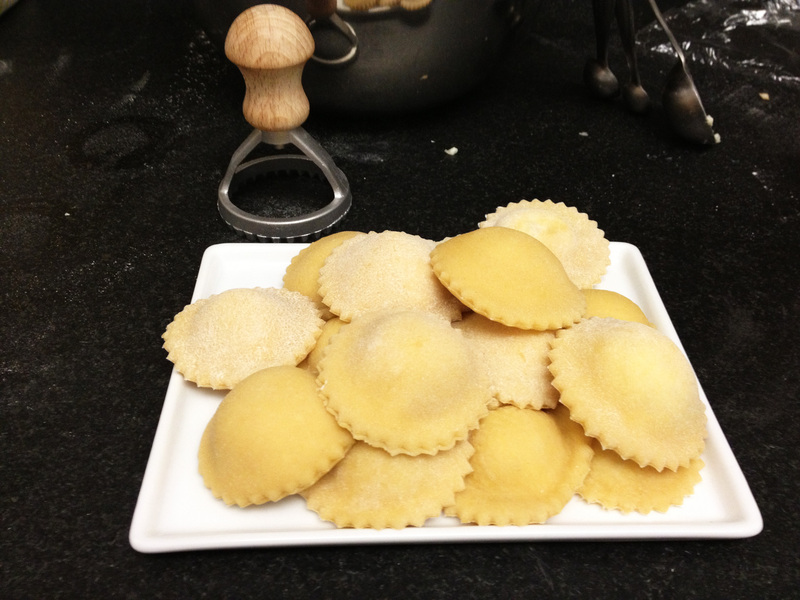 Add a light egg wash around the mounds of dough, this will help to keep the raviolis shut when boiling. fold the other long side of the dough over the mounds of filling so that it meets with the other side of the dough and forms somewhat of a calzone shape. Push down around the mounds of filling to press out any air bubbles. 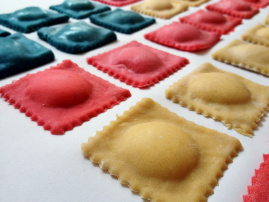 Using the ravioli stamp, press down with the filling in the center until the ravioli cuts away from the dough. Continue until all dough is used up. Boil raviolis until they float to the top of the water, fresh pasta cooks quite quickly, it should only take a few minutes for the raviolis to be cooked. To make the sauce: In a medium sauce pan combine heavy cream and butter, bring to a boil. Add in pecorino cheese and pepper. Whisk constantly until all is melted and a creamy sauce forms. Once the raviolis are finished boiling, strain and pour sauce over the raviolis. 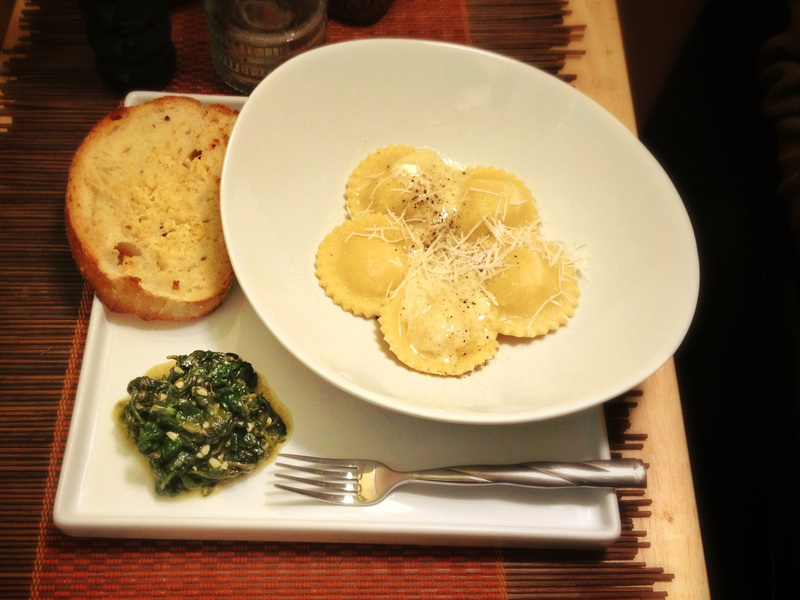 In the photo at the top of this recipe, the ravioli is paired with a simple sauteed spinach and fresh baked garlic bread.